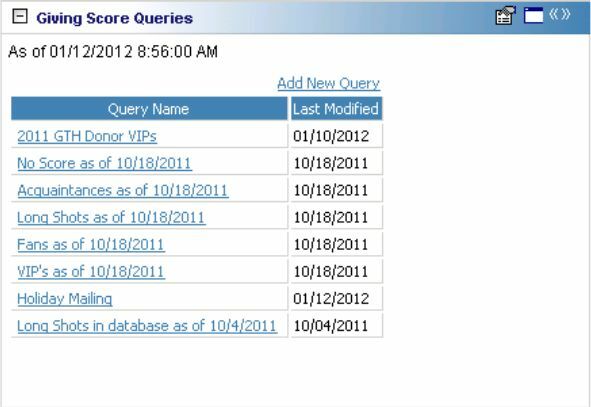 The Giving Score Queries dashboard shows the top Giving Score queries created. Users can click the name of the query listed to quickly open the query. In the Display only the top field, enter the number of Giving Score queries that you would like to be displayed. This defaults to 8. NOTE: The top rows to display cannot exceed 100. NOTE: These available columns are hard coded. NOTE: Users can also click Add New Query to create a new Giving Score query.